MOSCOW, December 7. /TASS/. The United States seeks to disrupt the investigation into the chemical attack by terrorists in Syria’s Aleppo on November 24 and the US State Department’s allegations that this incident was staged obviously pursue this goal, the Russian Defense Ministry said on Friday. 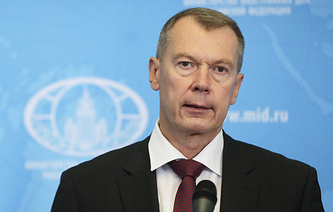 "The Russian Defense Ministry interprets the US State Department’s hysterical statement alleging that the November 24 chemical attack by terrorists in Aleppo was allegedly staged, as an attempt to exert pressure on the OPCW [Organization for the Prohibition of Chemical Weapons] in order to hinder an unbiased investigation," the ministry said. The ministry noted that for more than six months it has been informing the world community about supplies of toxic agents to terrorists and the White Helmets in Syria from Western special services. "Each time, the peaks of such supplies were synchronized with ungrounded statements by the US Department of State and other American agencies on their preparedness for a knockdown missile blow on Syria in case of another alleged use of chemical weapons by the Syrian government," the ministry said. 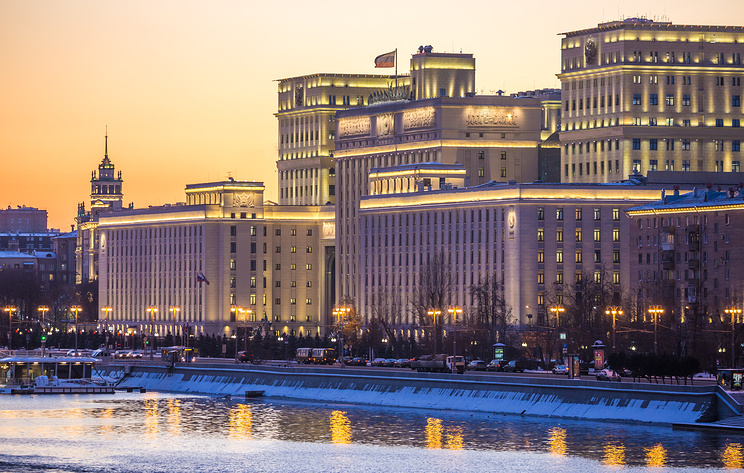 The ministry recalled that it was the Syrian government that requested urgent deployment of OPCW experts to Aleppo immediately after the November 24 incident. According to the Russian Defense Ministry, the United States’ statement is obviously geared "toward vindicating international terrorists operating in Idlib linked with pseudo-rescuers from the White Helmets who have backstabbed their Western patrons with their provocation." Apart from that, the US allegations may be "geared toward diverting attention of the world community from the crimes committed by US warplanes in eastern Syria where they have been bombing settlements around Hajin for more than a month, killing tens of civilians every day," the ministry said. "The Russian side has conclusive evidence proving that militants used munitions with toxic agents against civilians in Aleppo on November 24, 2018," the ministry noted. The US Department of State claimed earlier that there had been no chemical attacks staged by terrorists near Syria’s Aleppo on November 24. Instead, the US Administration accused Russian and Syrian forces of the use of tear gas against civilians in Aleppo. On November 25, Russian Defense Ministry Spokesman Igor Konashenkov said that Russian warplanes destroyed militants who had staged the chemical attack against civilians in Aleppo. All militants’ targets were destroyed by airstrikes, he stressed. 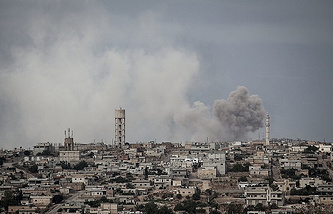 Konashenkov said that Russia’s intelligence found weapons that were used to shell Aleppo in a demilitarized zone in the Idlib governorate. He also said that certain signs indicated that militants were preparing to use those weapons again. The Turkish side had been warned about the Russian strikes beforehand via a hotline, he said.